Tint Tunes & Accessories has earned a reputation for being the place to take your car, SUV, truck or van with complete confidence and enjoy the highest quality installations in Jacksonville. Loyal customers are the heart of Tint Tunes & Accessories’ business. Remember the saying; “You get what you pay for” well it’s true! We are not the cheapest, but at the same time we are far from the most expensive. Our prices are very competitive and we actually encourage you to shop around because when it comes to our level of customer service, quality of installations, we are one of the best values in Mobile Electronics for your Car, Truck, SUV or Boat in Jacksonville, FL. Our customers are extremely loyal and vocal about their experiences. Consequently, much of our business comes from referrals and repeat business. Once we complete one installation for a customer, we eventually install systems for their family members, friends and colleagues at work. Using LLumar’s precision cutting software, we are able to insure a precise cut every time. We will provide you with all the information possible to help you select the perfect combination of films to suit your needs. Then once you see our shop and talk to one of our friendly employee’s, look at some pictures, and see some samples of the film; you should have your question answered. 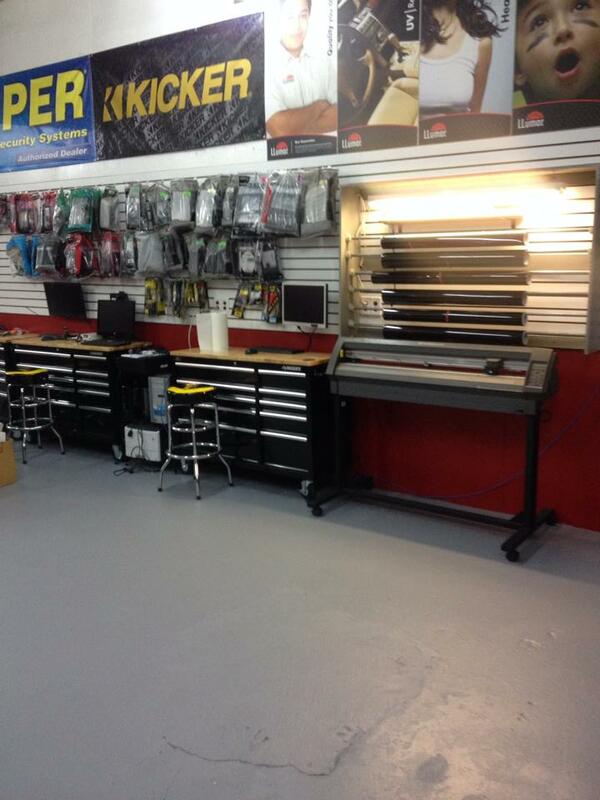 Our Shop, where the magic happens.